Writing a book in which I could share my favourite recipes has been a dream of mine for many years. I still can’t believe that I created such a beautiful medium where I can flip through pages instead of scrolling down! 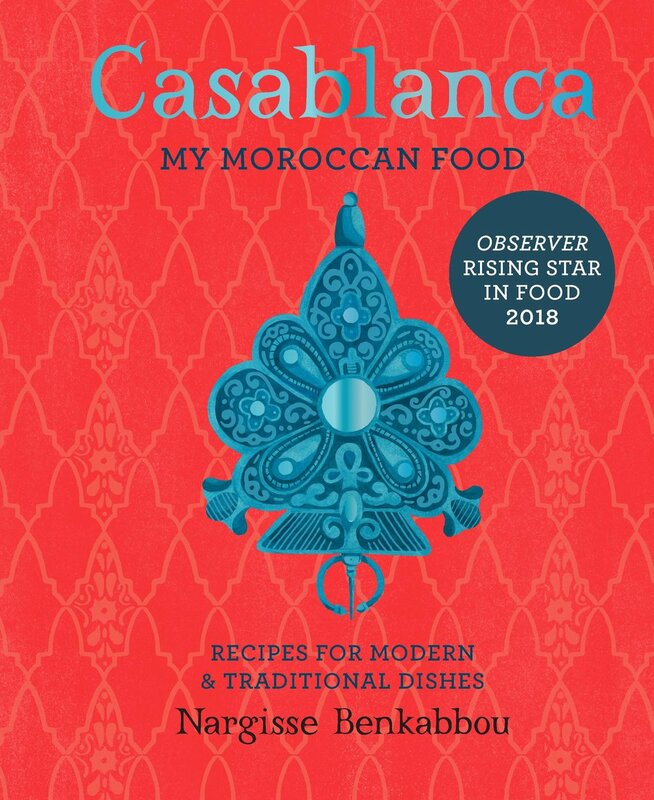 As you know, I am very passionate about making the world more familiar with authentic Moroccan flavours, and being able to reach out to as many of you as I can has always been my biggest drive. Almost three years after launching my blog and interacting with you online, I am tremendously excited that you are now able to obtain a book that you can carry around in your kitchen, living room and anywhere else. The title of the book Casablanca symbolizes the meeting of old and new, the same way Casablanca, the city, embodies nowadays an exciting blend of tradition and modernity. The book contains almost 100 recipes, half of which are classics and the other half modern. As always, I made sure that the recipes in the book are easy to follow, don’t require complex ingredients/techniques and won’t take you a whole day to prepare. Writing Casablanca has been a magnificent experience and I hope that you will enjoy it as much as I did. UK : Order your copy now and watch this space for more information and events related to the book! Published by Mitchell Beazley. CANADA: 1 September 2018, you can order your copy now. Published by Firefly. USA: 15 September 2018, you can order your copy now. Published by Firefly. Germany: 17 September 2018, order your copy now. Published by Sudwest Verlag. Holland: 26 September 2018, order your copy now. Published by Uitgevers. Spain: 10 September 2018. Published by Blume.